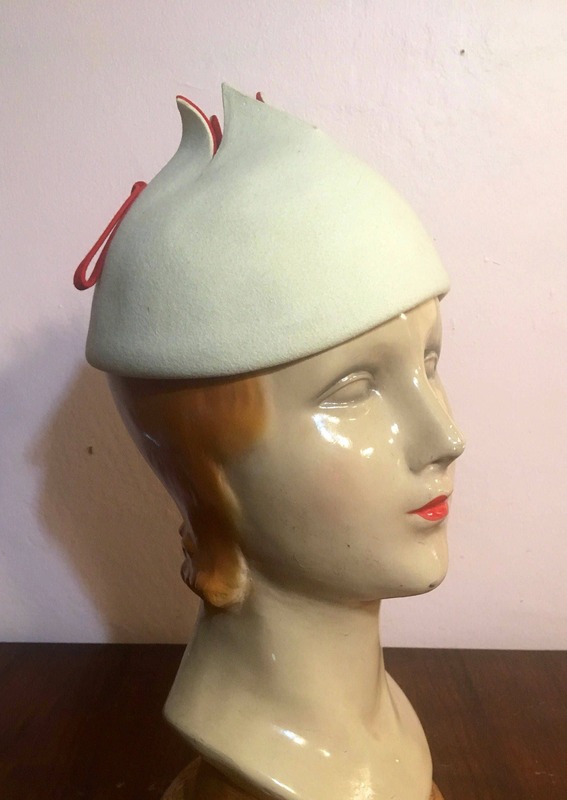 I just adore this cute little pixie hat in off-white and red! 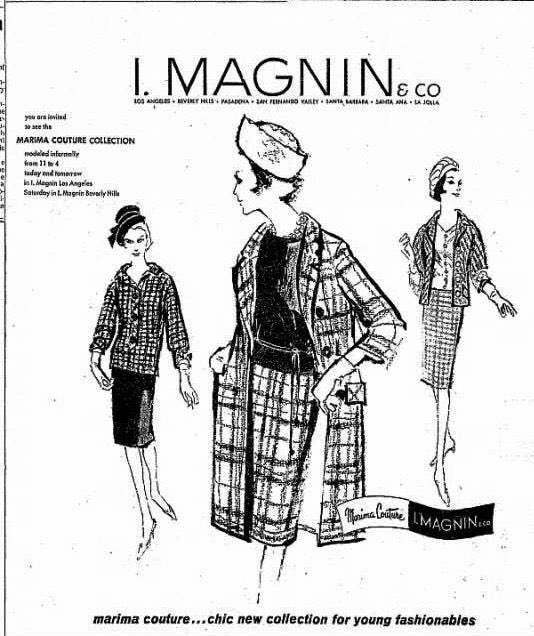 While researching the name “Marina” I found a newspaper clipping from the 1960s showing the introduction of the line for I. Magnin. 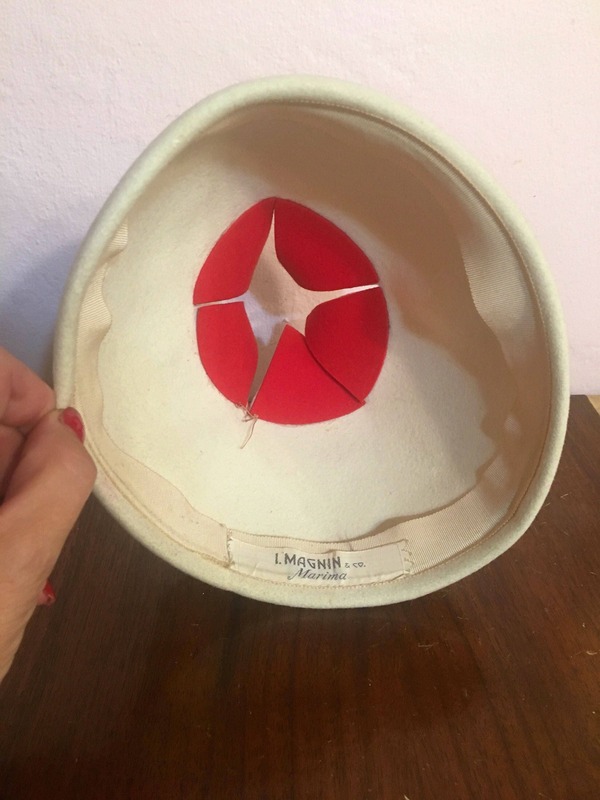 The Felt is soft and in perfect condition. 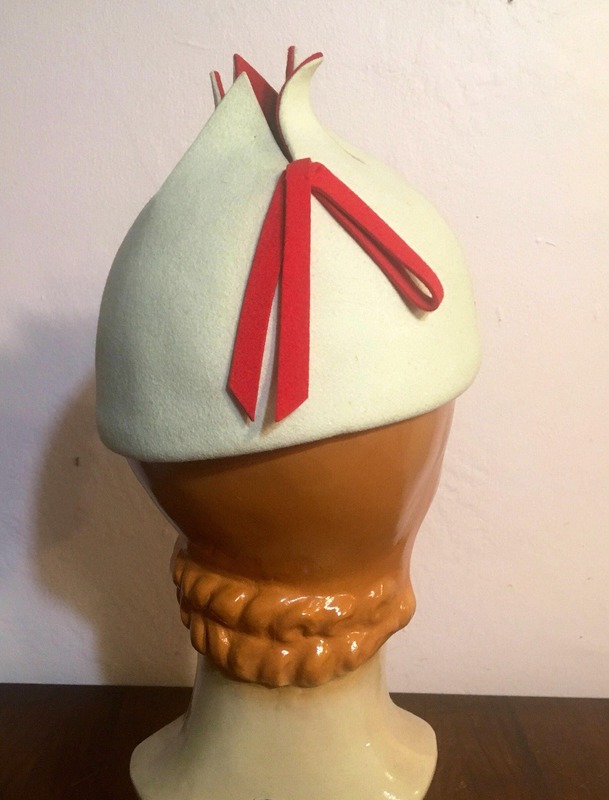 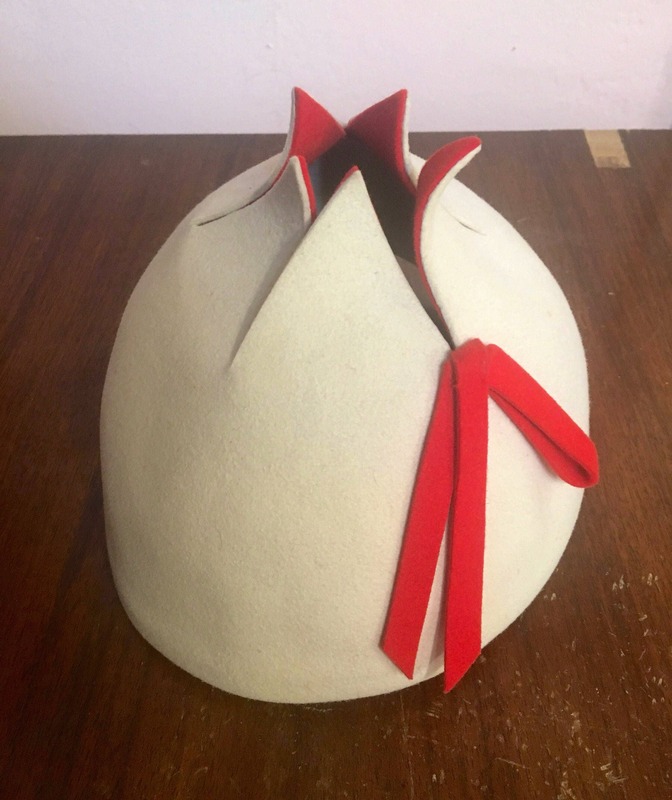 As you can see there is a felt ribbon on the back, and the tulip affect on the top is red on the inner portion.